During one of several interviews, Petra Perez Tarango mentioned that her grandfather, Felipe navarrete was from Cochillo Parral, Mexico. He married his first wife, Juana on an unknown date. The closest estimation would be near 1860 in Mexico. At some point in time during the late 19th century, Felipe's wife Juana died and he was left with six children. There names were: Manuel, Ray, Jesus "Chui", Jose "Pepe", Jesus, and Chole. Felipe later married Marcelina Jasso. The children from this marriage were Sylvestra, Juan, and Luciana, "Lucha." Sylvestra married Leon Perez and Luciana married Augustin Orozco. Felipe Navarrete married Marcelina Jasso sometime near the middle 1800s. Not much is known about Marcelina other than the name of her brother, Nolberto Jaso. Nolberto Jaso was married to Senorina. Their children, in order of age were: Jesusita, Juan, Manuel, Francisca, Crecencio, Juana, Ramon, and Mercedes. 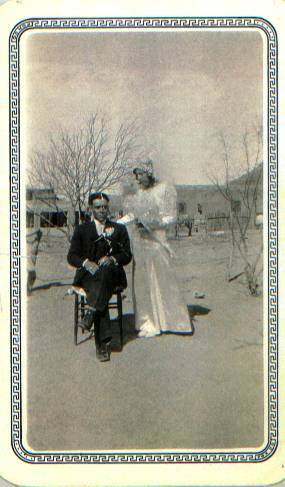 Texas Census records show that Nolberto and Senorina had lived in the United States for 20 years in 1910. Felipe Navarrete and Marcelina Jaso raised two daughters: Sylvestra, Luciana, and a son, Juan, not to be confused with the Juan from Felipe's previous marriage to Juana. When Sylvestra was only seven years old, Mexico was in the middle of a revolution. The Villaistas were murdering people in all of the villages along the Rio Grande, especially in Cuchillo Mexico and the Presidio area. All of the families took flight and large home in Cuchillo. Sylvestra had pneumonia and a high feaver. There was a terrible storm in the middle of the night. Marcelina rapped her baby, Juan in a thin sheet because that was all that she had to keep him warm and they were running for their lives. She carried baby Juan in one arm and Sylvestra in the other. Sylvestra had gone into shock because of this experience. She never recovered her voice and also lost most of her hearing for the rest of her life. Whenever she spoke to anyone, she would always speak in a quiet whisper. Sylvestra married Leon perez in the late 1800s. There is little or no information about the descendency of Leon. Many family members have claimed that he was Spanish. However, there is little to no information to cooberate a possible imigration from Spain to Mexico. In an interview, Petra told me that Leon's father's name was Allejo and his mother's name was Petra. She told me that Leon came from Delicias Chihuahua and was an ograjero. He would make sarapes and sinchos for the horses. His trade was that of a blanket maker and he would sheer sheep and spin his own thread and yarn. There is a serious mistake on Leon's death certificate. In the section of the death certificate for the names of his parents, his son Juan entered the names of Leon and Sylvestra. It was a terrible mistake for to this day, the descendency of Leon Perez or any information regarding his mother, father or sisters remains a mystery. Leon and Sylvestra had five children: Petra, Jino, Juan "Enrique", Elisa, and Cruz. 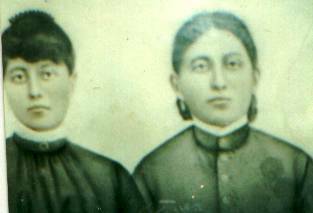 Sylvestra Navarrete and Beatrice Tarango, the daughter of Alfredo and Petra are both burried in Pecos. 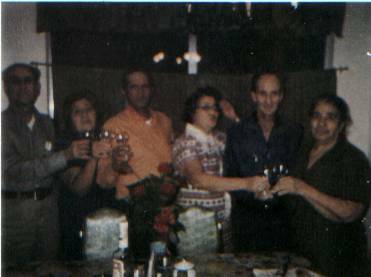 Sylvestra always lived with her daughter Elisa Perez who was married to Juan Contreras. 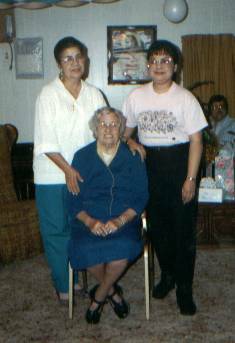 According to my great grandmother, Petra Tarango, one thing that can surely be remembered about Cruz and Jino Perez was that they loved drinking and fighting. They used to fight with "La Migra" and the Rinches who were the infamous Texas Rangers. The Rinches were always abusing and killing Mexican's on both sides of the border. The Ranger's tactics were simply to kill and harrass the people around the borderlands and then call it protection from bandits. Many women and children died at the hands of Los Rinches. During an interview, Petra expressed that it was not Pancho Villa or Carranza that they were afraid of as children. They were more afraid of the Texas Rangers and vangeful possies of "gringo" vigilantes. They all lived during the most turbulent times in Presidio county. Cruz Perez used to live in Casablanca and later moved to Fresno California with his wife Nicanora. Cruz and Nicanora had eight children: Cruz Jr., Eliseo, Arnufo, Ruben, Dora, Elva, Oralia, and Mema. Jino may have moved to Mexico for a short period of time before moving back to Texas. Juan Perez lived probably the most interesting and illusive life of all the brothers and sisters combined. When he was sixteen years old he had started playing guitar in a band with his soon to be brother in law Alfredo Tarango. A married old man by the name of Demitrio Mendoza, brother of Belen Mendoza, had an affair with a woman named Nieves Varagan. This woman was in love with Juan and was always chasing him. One evening, in Candelaria, Juan and Alfredo were on horseback on their way to a tocada. Demitrio stopped them in the road and started taunting Juan. Demitrio was drunk and pointing his gun at Juan and Alfredo. Juan pulled out his pistol and shot Demitrio dead off of his horse. Alfredo took his friend/brother in law immediately to Casablanca. Juan lived as a fugitive of the law for several years. He never heard or saw from his family in Candelaria while he was in hiding. The Mendoza's had also tried to enact a revenge killing on Juan's younger brother Cruz, but were never successful. Juan finally made his way to Denver Colorado, where he became associated with a Catholic Church there as a grounds keeper. He lived with the priests and became close to God. From then on he would be known as "Enrique." He changed his name for obvious reasons. When he finally came back to Midland, he was able to see his father, Leon for the very last time. Leon had seen his son when he was a young man and then as a man almost nearing his 40s. Leon was old and about to die. Juan cut his father's hair and groomed his nails for him. Leon died in midland Dec. 3, 1937, from Pneumonia. Elisa and Juan Contreras were the first of the Perez family to move to Midland. Elisa was the youngest daughter. 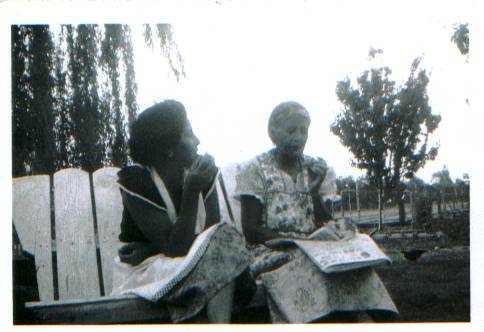 They lived in Midland for a few short years and later moved to Pecos. Juan worked different ranches in Pecos for many years.